Newtown Creek, or Newtown Estuary is a waterbody on the north coast of the Isle of Wight at the centre of Newtown National Nature Reserve, managed by the National trust. A number of rivers flow into the reserve. The Caul Bourne is glamerous enought to have its own page on this website, but the others share this page. A number of tributaries in the Ningwood area of the Island flow into the Estuary via Western Haven before joining the Caul Bourne and the Newtown River that has flowed from south of the town. To the east of the estuary, Rodge Brook flows from tributaries in the Parkhurst area and joins other tributaries originating from Watchingwell and Swainston, all flowing into Clamerkin Lake. 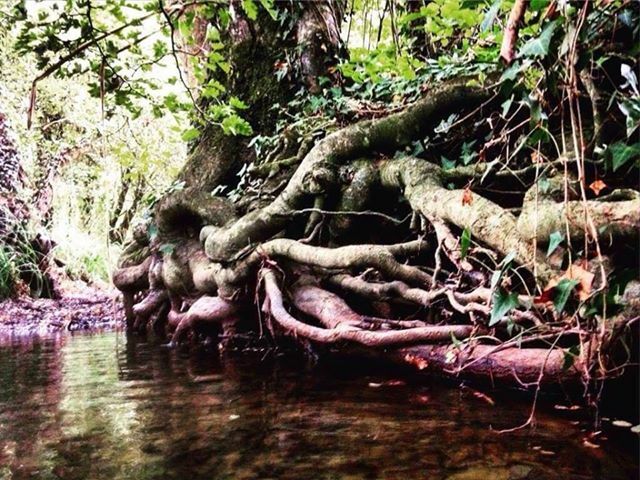 Jon Jewett has kindly given us some lovely photos of Rodge Brook as it flows through Rodge Brook Farm. You can see them in our Gallery. The photo at the top of this page comes from John. The Catchment Data Explorer is an Environment Agency tool which helps you explore and download information about the water environment. It supports and builds upon the data in their river basin management plans. Read about the Newtown Estuary here.